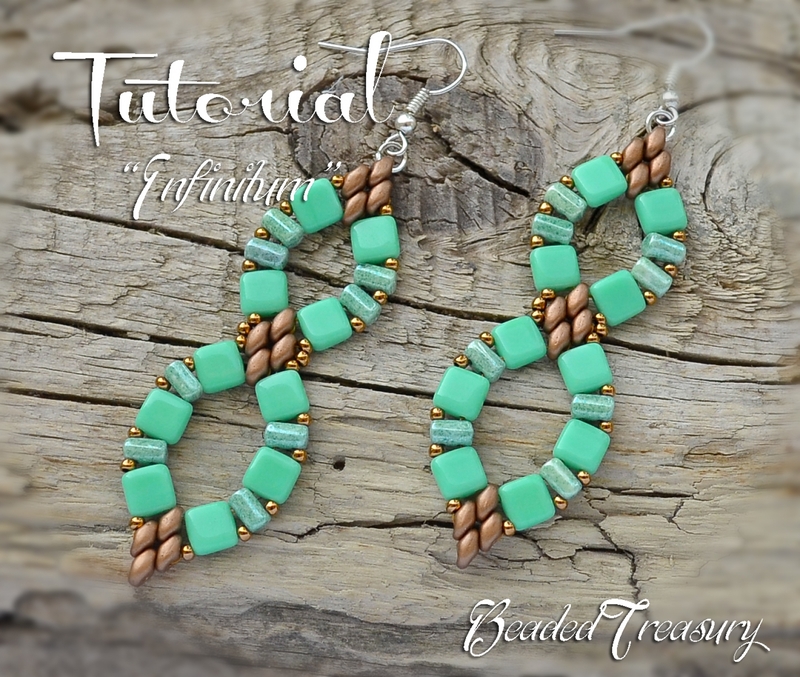 This listing is for the Tutorial of "Infinitum" beadwoven earrings. two-hole CzechMates tile, Superduo and Rulla beads and seed beads size 11/0. However you have permission to sell finished earrings made from this tutorial - please give credit to the designer (Iulia Postica - BeadedTreasury).